With Cooking for the Culture’s chef Elijah Milligan. 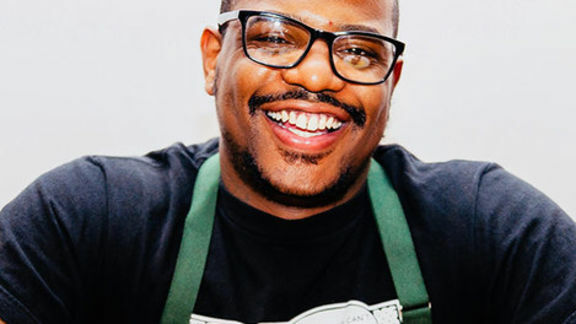 Chef Elijah Milligan, like many of his peers, has been in kitchens since he was a kid. 12, to be exact, which means that the life cycle of the line—the openings, the closings, the long shifts, the turnover, the rush and the crash each night—is the only professional life he’d ever known. Despite that, abandoning the status quo for a more self-determined path of consulting, private cheffing, and a full-time parent life to his seven-year-old daughter was an easy transition. The decision took him into high-rank kitchens in NorCal like Petit Crenn, and Stateside, Laurel, and Vernick in Philadelphia, where he currently resides. 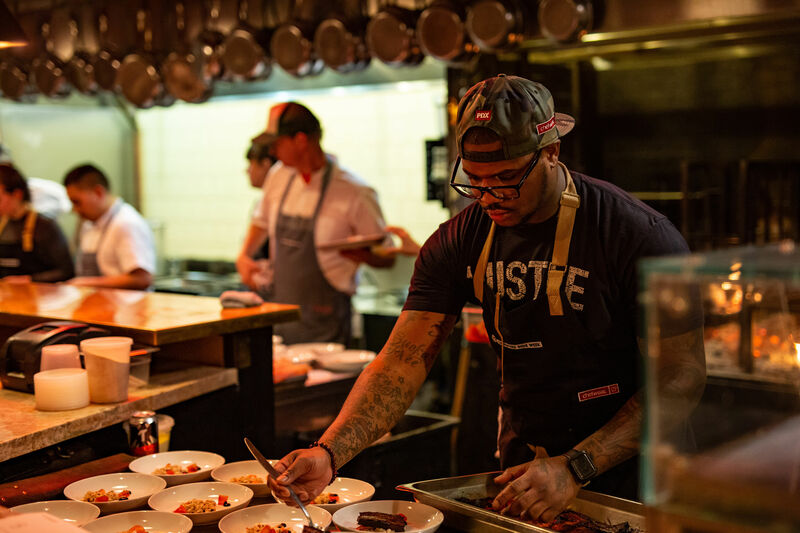 Perhaps more importantly, it allowed him to throw everything he had into Cooking For The Culture, a collective that seeks to uplift Black chefs at every level of the industry in intimate, highly-curated settings. In today’s industry, when everyone seems to be either looking for a way out or a way to weather the many endless storms, Milligan is an inspiring example of what happens when you build a career around a life—instead of the other way around. In the spirit of a deep-dive Proustian questionnaire, we hit him up for a lightning round to see what makes him tick. Living on a beautiful deserted island with the people I love the most, and a lot of food. I’ve had this recurring nightmare lately of waking up and both of my eyebrows are completely gone. LeBron James. He has a good heart. He’s not afraid to speak out, and uses his platform for the greater good. To be as great as he is at basketball, and to still work as hard as he does, speaks to his work ethic. 4. What flavor is your greatest co-conspirator? Easy, I always keep a container of gochujang paste handy. The flavor profile behind it has that deep red pepper paste flavor. And if time isn’t on your side, that flavor makes it work. I use it in stews, braises, and it’s what makes my chorizo recipe out of the world. i sneak it into a lot of dishes. Going out to eat way too often. Somewhere between stressed for so many reasons, but also very, very happy, for no particular reason. 9. What is your favorite sound? I have two: the sound of waves, and the cash app notification. To attend a Cooking For The Culture dinner, check their upcoming events—including an ongoing series, ‘Women Who Cook,’ on through February. London’s Zoe Adjonyoh on what it means to cook your truth.